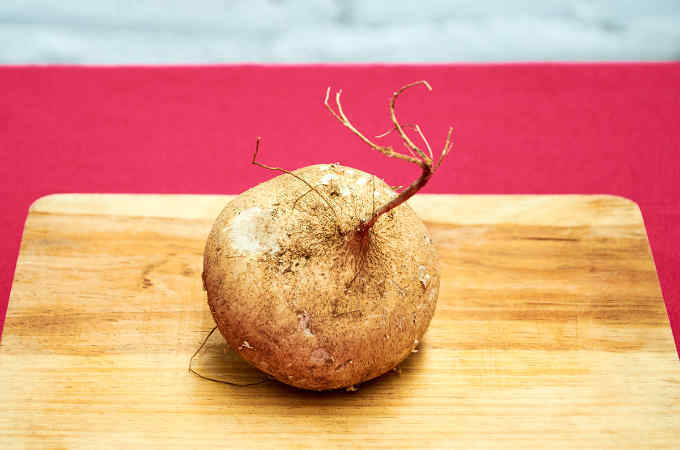 When you come across a recipe that calls for jicama, you might feel intimidated beause you are not quite sure what to do with it. It’s really quite easy to clean and peel to use. Our quick tutorial will help. It will only take you a couple of minutes. 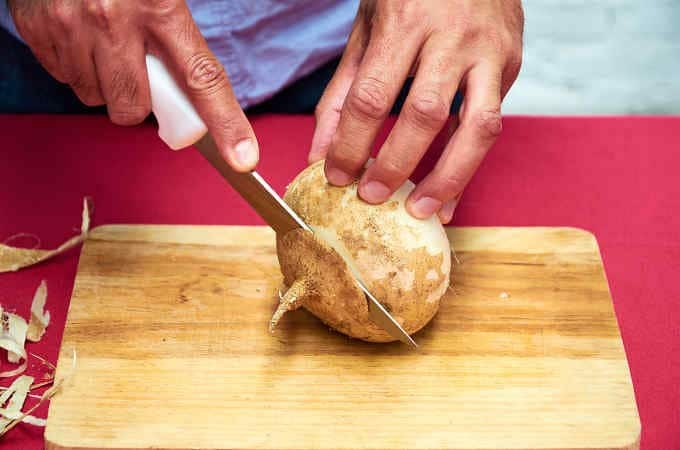 Before starting, scrub your jicama well under running water with a vegetable brush to remove any loose dirt. Cut the root end off. Cut a couple of vertical notches in the skin starting where you cut the root off. Grab the skin and pull. It should peel off easily. Continue peeling off the skin all the way around. Use a paring knife to remove any bits of skin that didn’t come off. 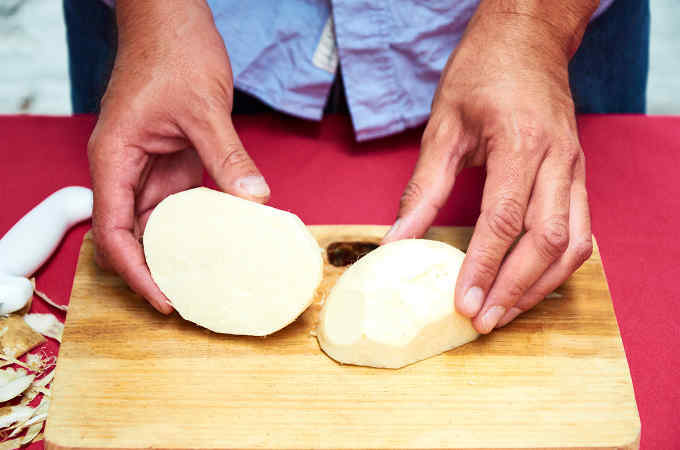 Your jicama is clean and ready to be sliced. 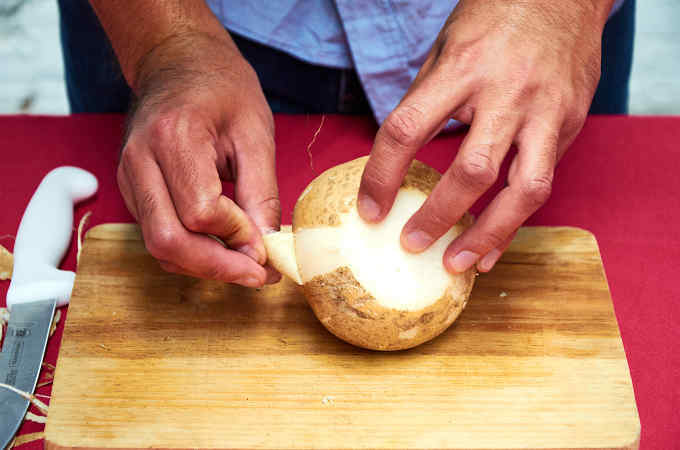 Let us know if you have any questions about cleaning jicama. 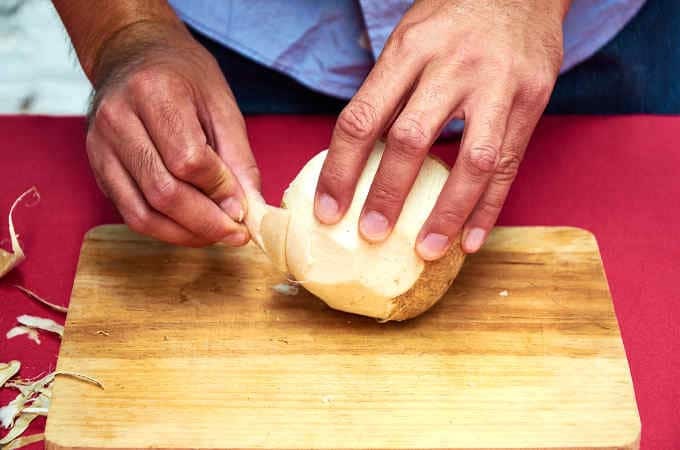 I appreciated seeing how you peel jicama, but I have a question: I use jicama all the time, and I find that there is a very fibrous layer under the skin. Do you leave that fibrous layer on and eat it? Thanks.